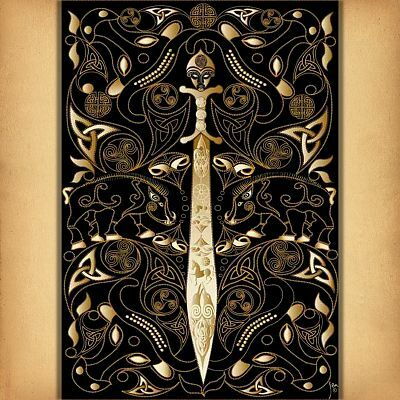 - An ancient leaf-bladed sword, forged in light, and charged with the power of bull, boar, horse and raven. 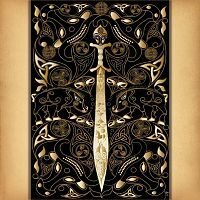 The subtle shades of bronze and gold stand out in stark contrast to the jet black background, creating a tapestry rich in symbolism and meaning. 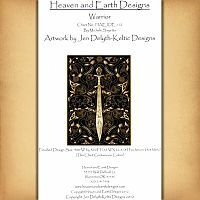 Based on artwork by Jen Delyth. This design measures 400 stitches wide by 560 stitches high. Pattern is 36 pages. 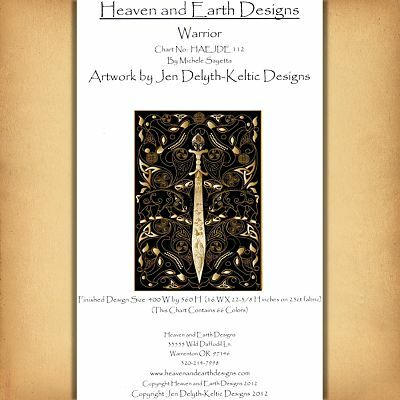 Copyright - Heaven and Earth Designs, Inc.
Do you have any other questions about our Warrior Cross Stitch Pattern?